Are you sitting at a desk all day? More and more of us have jobs that require us to sit in one place for eight, nine, or even ten hours a day. That sedentary lifestyle isn’t good for us; it’s not good for businesses, either. More businesses are recognizing the negative side-effects of sitting at a desk all day and starting corporate wellness programs to try to combat the effects. Those negative effects can include an increase in the risk of heart disease, diabetes, stroke, depression, and other life-threatening diseases. These corporate wellness programs aren’t just good for the health of your teammates, either; it’s doing wonders for your company’s bottom line. Even Forbes magazine published an article titled “Five Reasons Corporate Wellness Is More Important Than Ever,” in which they note the long-term benefits the program can have for a company. Here is how a fitness program at work could actually end up saving your company money. Are you interested in learning more about what the program can do for your team? Here is how a fitness program at work could actually end up saving your company money and providing you with a healthy ROI. Employees take fewer sick days. When your team is working out, they are decreasing their risk of diseases and illnesses that could cause them to miss work. Employees who get regular exercise are far less likely to need to take their sick days, which means you aren’t paying out on sick leave or dealing with chronic absenteeism. According to a 2011 study published in the Journal of Occupational & Environmental Medicine, just 2.5 hours of exercise a week led to fewer sick days. More people at their desks when you need them there means you can get more work done, which has a direct effect on the bottom line. Health care costs go down. Employees who exercise regularly are healthier. That means fewer trips to the doctor’s office. You’ve probably seen a rise in your health care costs over the last few years, and you aren’t alone. Businesses are feeling the crunch of paying for health care costs. But numerous studies show the correlation of corporate fitness programs and decreasing health care costs. Encouraging employees to be healthy really can help them avoid doctor’s visits as well as decrease their risk for dangerous health conditions, so not only will you be paying less for their healthcare costs, they will, too. Exercise and a healthy lifestyle can even help prevent the development of certain cancers, which is a massive drain on your healthcare budget. Your employees actually like working out and being encouraged to get fit. That’s why more of them stay in their current job when a corporate wellness program is in place! You know how expensive it is to find a new employee for an open position. You have to pay for the marketing costs, go through the interview process, and then get the new employee trained. It’s much, much more expensive to hire a new employee than it is to retain an employee, so putting a fitness program in place is a good first step to cut those turnover rates. Exercise can help increase focus. Increasing physical activity produces more endorphins in your body, which is responsible for helping you concentrate on tasks. When your employees are getting the exercise their body and brain needs, it will help them focus on tasks at work. That increased focus means they are getting more done. Many businesses see a spike in productivity when their employees are participating in a fitness program. It can help employees bond with each other. This is a great side effect of working out together! When you encourage employees to get out and exercise, it gives them a chance to get to know their team mates. When they form relationships outside of work, they’ll work together better inside the office, too. Whether they are taking a walk at lunch, running on the treadmill, or spotting each other on the weights, it’s a chance to get to know each other better and learn how they can work together better on the job, too. So What’s the Real Impact on Your Bottom Line? Johnson & Johnson has been an avid fan of corporate wellness for over 20 years. They estimate that for every dollar they’ve spent on the program, they’ve saved more than $2.70. Altogether, according to an article in the Havard Business Review, they’ve saved more than $250 million in health care costs in just a decade. Imagine if your company could save even a fraction of that! 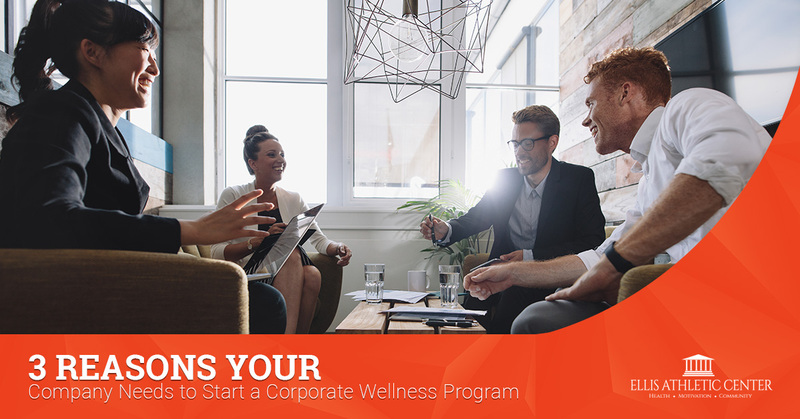 Ready to Start Your Corporate Wellness Program? We’d love to talk to you to tell you more about the benefits your employees will experience when you sign up for our gym. Get in touch with our team by giving us a call at the number above or using the contact form on our website.